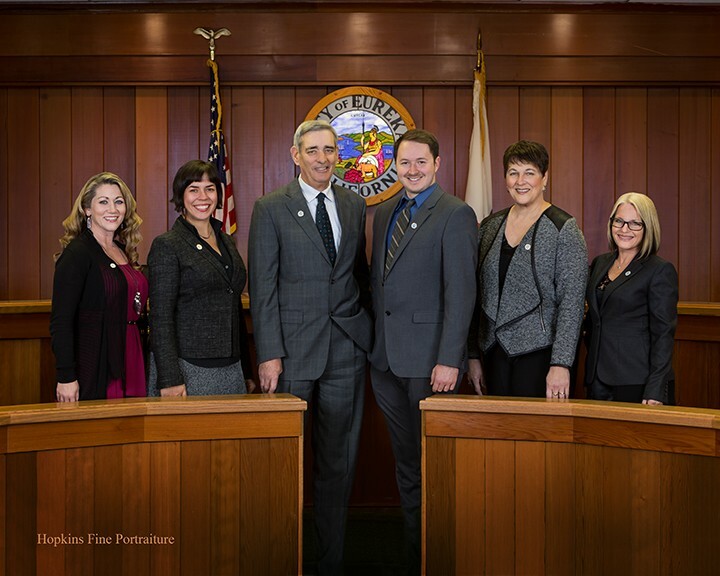 Eureka councilmembers would be expected to use their words wisely — but not in support of a candidate running for council or in off-the-record conversations with journalists — under an ethics and conduct code under consideration at Tuesday’s meeting. Adopted from the city of Sunnyvale, the 20-page document outlines how Eureka’s elected and appointed officials are expected to act with the public, the media, staff and each other — apparently the result of councilmembers raising the subject during a strategic visioning session. The council has seen some fiery discussions erupt at the dais over the last year or so, especially when weighing such contentious items as homeless encampments and human rights resolutions. Included in the packet is a “Checklist for Monitoring Conduct” — with self-reflecting questions like, “If I have to justify my conduct in public tomorrow, will I do so with pride or with shame?” — as well as a glossary of terms with words ranging from "manners" (suitable; proper; good taste in behavior) to "sanction" (a threatened penalty for disobeying a law or rule). Two sections appear to clash on the subject of campaign endorsements and support. To read the draft Code of Ethics and Conduct go here.